“RONDETAFELGESPREK” on 15 year leadership on Curaçao : The changes …. Yes it is printed, the new “Coaching” magazine edition 4 2018! 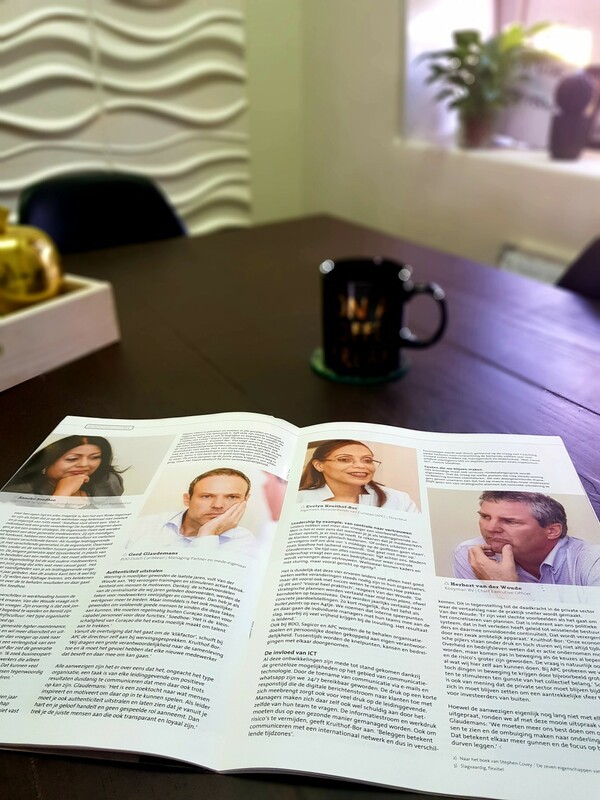 Nevita Mezas of The Business Connection had the honor to co-write with Gofrie van Lieshout- van Heugten the group conversation “RONDETAFELGESPREK” on 15 year leadership on Curaçao : The changes …. Here is the link to the complete article http://bit.ly/2RNZ4lW. I am curious to hear your thoughts on the observations and tactics discussed by the participators .